We grow business in Superior & Douglas County, WI. Cindy Hale credits the Development Association with helping Clover Valley Farms’ gourmet vinegar to “fly off the table”. When you first step onto Clover Valley Farms you see a small, eclectic, family operation that contrasts immediately with the mass production funneled onto supermarket shelves. 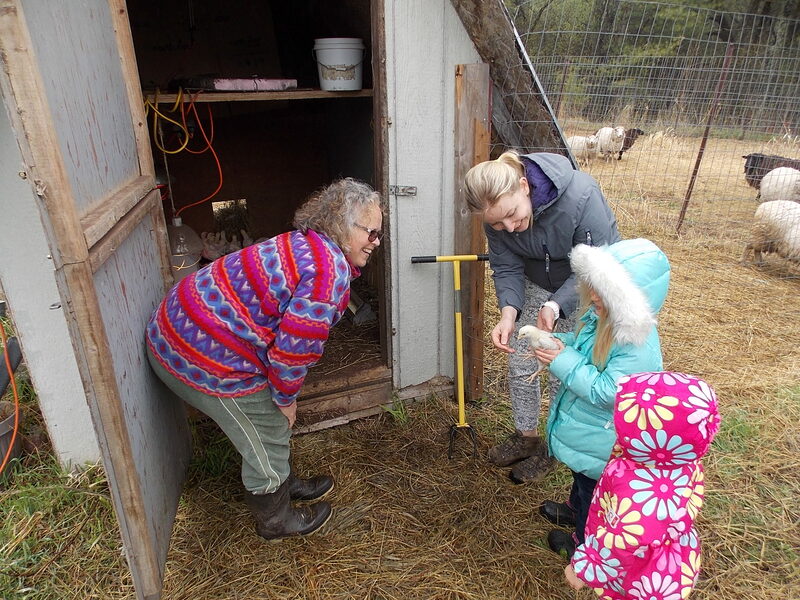 As you tour the farm’s smorgasbord of poultry, sheep, rabbits, and pigs, as well as the orchard and greenhouse, you quickly learn how everything is interwoven on this farm, making a whole much bigger than the sum of its parts. Listening to farm owner Cindy Hale describe how the rotational grazing system breaks the internal parasite cycle, or how the farm’s juneberries, currants and beehives are used to make value-added items, you quickly catch on that Clover Valley Farms is infused with more business savvy and efficiency than any mass-production agricultural company could dream of. Ask Cindy straight up where her success comes from, and she’ll immediately refer you to the invaluable cooperation she’s had with the Development Association of Superior, WI. 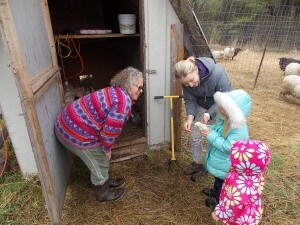 Clover Valley Farms’ little chicks are met with big enthusiasm. According to Cindy, “Without the DA, we couldn’t be where we are today.” Which seems hard to believe when you see what a tight ship Cindy runs. In Cindy’s words, farming and business are two distinctly different things. “Farmers know how to grow their crop, but they’re not necessarily businesspeople. Sales and distribution are very complex,” says Cindy, while perusing her herb beds in the greenhouse (greenhouse plants, like mint, are for the vinegar infusions that Clover Valley Farms is famous for). 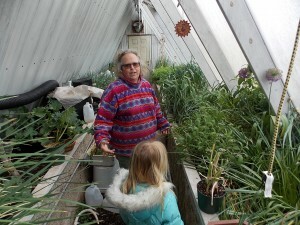 “Being connected to the land is an important part of farming, but you still have to accomplish the economic part too.” It was Cindy’s deep cooperation with the DA that brought the economic side into focus, thereby providing the necessary overlap of Cindy’s farming instincts and penchant for retailing and public speaking. 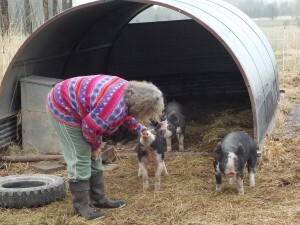 The piglets get lots of love and attention. Nowadays Cindy is taking her vinegars on tour all over the western Lake Superior region, speaking at cooking seminars hosted by food co-ops over a hundred mile radius. Cindy’s business savvy shines right through her transparent vinegars, but she is sure to tell you that working with the DA has been an indispensable ingredient for making even vinegar taste sweet. For more information on Cindy Hale’s speaking events and to learn more about gourmet vinegar and other value-added products, please see the Clover Valley Farms website.